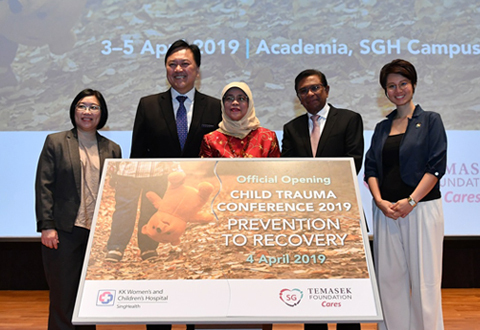 A joint education programme developed by Genetics Service, Department of Paediatrics, KKH, and SingHealth Duke-NUS Institute of PRecIsion Medicine (PRISM). ​Our Genetics Service specialises in care for families and individuals of all ages who have or are at risk of a genetic disorder or birth defect. We extend comprehensive clinical services for the detection of genetic conditions and risk of birth defects, medical care for children with genetic disorders, as well as counselling for patients and their families diagnosed with genetic conditions. Our DNA laboratory offers services for DNA testing for diagnosis of genetic conditions. Accredited with SAC-SINGLAS, the laboratory carries out DNA testing for conditions such as thalassaemia, Fragile X syndrome, spinal muscular atrophy, myotonic dystrophy, Huntington disease, spinocerebellar atrophy, Prader-Willi syndrome & Angelman syndrome. Chromosome microarray analysis (CMA) is also available for postnatal samples. For more information about DNA Diagnostic and Research Laboratory, please click here.